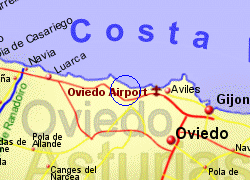 Oviedo Airport is located 47Km North West of Oviedo, 17Km West of Aviles, close to the A8 motorway. 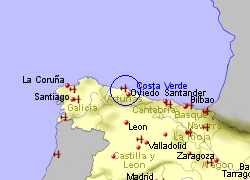 A bus runs approximately every 2 hours during daytime to Oviedo approximately €7.50, Aviles €1.50. 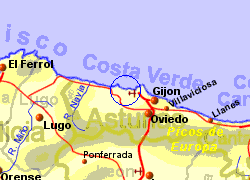 Taxis to Oviedo approximately €55, Gijon €45, Aviles €25.